Looking for a fun dessert? 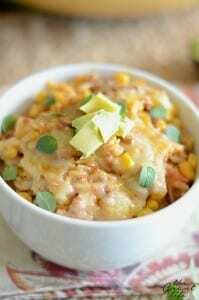 This Mexican sweet rice is the perfect recipe. Hey yall! I am super excited to be partnering up with HEB again this year! HEB is our big grocery store down here in Texas. My first real job was at HEB as a bagger/carry-out and I loved it. I remember that I applied for the job the day after I turned 16. They had just opened a new store in our city and they had the manager come to the high school to do interviews. I didn’t even think twice, I just went over and interviewed with him. And I got the job on the spot! When we lived in Michigan one of the things I missed most was HEB. I literally grew up going there and they have some of the best products. From the pre-seasoned fajitas to the Texas shaped corn chips or cheese. There was so much that I missed when we lived up north! 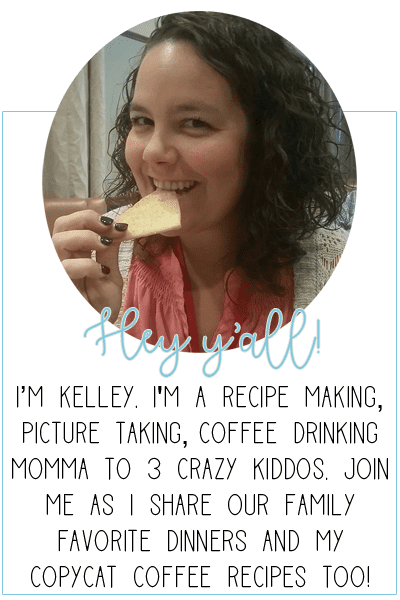 Pssst.. want my free family favorite desserts e-book? Sign up below for one + weekly updates! I missed the craziest things while we lived in Michigan. Homemade tortillas smothered in butter. Quesadillas with extra grilled onions. Big fat avocados. Homemade arroz con leche. All things comfort food that I grew up enjoying. 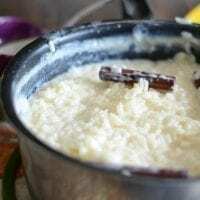 Arroz con leche means rice with milk if you translate it correctly but most people call it Mexican sweet rice. And that’s essentially what it is – rice pudding drenched in sweetened condensed milk and cinnamon. It’s absolutely delicious! The best part of this sweet treat is that it is really easy to make. Toss all the right ingredients together and then let it simmer to perfection. To make this easy sweet rice recipe you need just a few ingredients – rice being one of them! Once you have all your ingredients you start with adding the cinnamon sticks to the water until it boils. This infuses the water with a cinnamon-y goodness. Once the water has started to boil you add in the rice and reduce the heat. Allow the water to boil until the rice is almost soft and then add half the milk. This is where is starts to get good yall! The rice starts to thicken and the milk and cinnamon combine together to create a dreamy dessert. But it gets better! 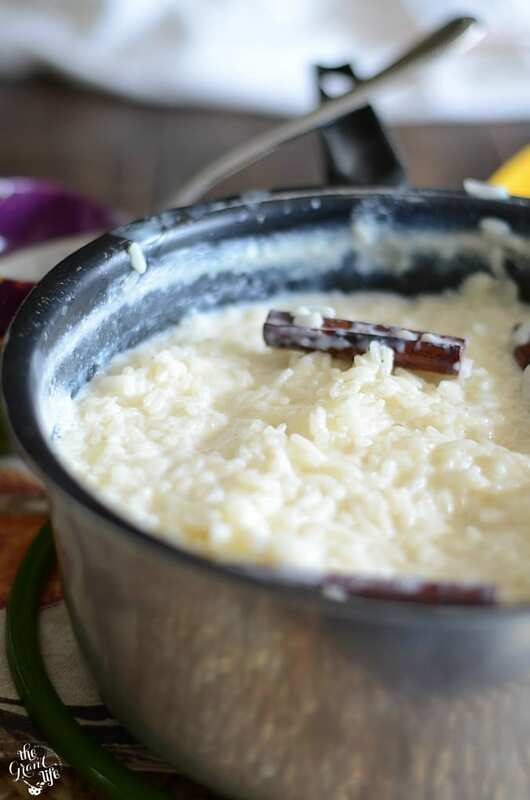 You then drizzle in the sweetened condensed milk over the already creamy rice. Stir it together, remove the cinnamon sticks and allow to cool. Which is easier said then done! 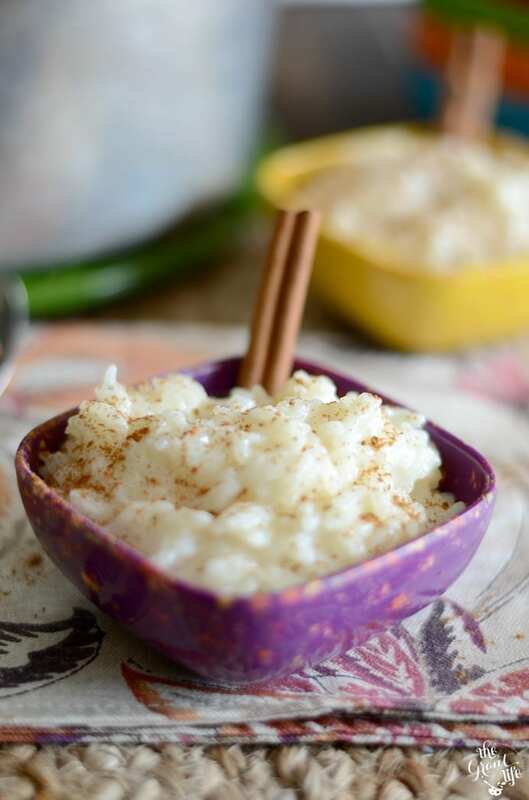 You can sprinkle some ground cinnamon on top and you have arroz con leche perfection! I think the best part about this recipe is that it’s also great for breakfast. My kids gobbled it up the next morning. We just added a little extra milk before we warmed it up and it was so, so good! PS.. I made arroz con leche popsicles! Check them out for a cool treat! Sign up for more recipes and a free e-book! In a large saucepan, bring the water and cinnamon sticks to a boil. Add the rice, reduce heat and bring to a boil again. Stir in 2 cups of the milk until the rice starts to thicken. Add in the other two cups of milk, vanilla extract and the sweetened and condensed milk. Allow to simmer until til thick or your desired consistency. Remove the cinnamon sticks, allow to cool, sprinkle with cinnamon and enjoy! Oh wow! My mom used to make sweet rice when we were a kid and I bet this is similar, I haven’t had it in years! Brings back memories, huh?? Hope you enjoy Annie! This looks so creamy and delicious!!! Thanks Amanda! It’s pretty tasty! Well if i didn’t have a sweet tooth before I sure do now! Wow, this sounds delcious! I’ve never had anything like it, I’ll have to add this to my “must try” list. Hope you enjoy it Megan! It’s so good! Love this classic comfort dessert. Beautiful photos. Thanks so much Michelle! That means so much to me! I’ve never had this before but I love the idea of sweet rice! It’s delicious Nancy! Great for breakfast or dessert! Adding condensed milk to rice pudding is basically the best idea I’ve ever heard! IT REALLY IS! It comes out so good! I think I want to try this. I like sweet rice dishes and always try out new recipes that I find. I’m going to try this. I’ll bet our Chinese exchange student has never had rice like this! I hope your exchange student enjoys it! This looks like a unique “dessert” but I know I would love it! Think I need to try it.. When it says reduce heat and bring to a boil again, you should reduce the heat to about medium and allow it to boil at that heat correct? Or do you turn it back up to high to bring it back to a boil? Correct, keep it at medium to bring it to a boil again. Can you use minute rice ? I want to make this. It sounds delish with the evaporated milk! You should be able to! I used an instant rice type and they turned out great. Hope that helps! I am making this as I write this with my daughters who are 9 & 4. My mother would make this for us all the time. This is my first attempt. My husband also grew up on it and my girls will test it for the first time (homemade). Thanks for posting the recipe. Hope you enjoy Mari! Thanks so much for the comment! Hey Kelsey! I haven’t tried so I’m not sure. If you do, would you mind letting me know how it went? I am interested in using this in a cooking class with kids. How long does it take? How much does it make? What percent cows’ milk did you use? Thanks for the info! It doesn’t take long to make – about 30ish minutes. It makes quite a bit, I’d say about 8 cups. I used 2% milk. Hope that helps! Sorry, one more question — did you use raw white rice or Minute Rice? Thanks again! Plain whit – but raw or pre-cooker? Is it better to use short grain or long grain? I used long grain, but I think either will work! I hope that helps! This turned out great. This is one of my favorite deserts of all time. It brings me back to my childhood. I am from El Salvador and this is a typical dish for us. Thank you for sharing this. Yay! SO glad that it turned out great! It’s one of our favorites too! I’m not sure – I haven’t used it before and I’m not sure how it would work in the recipe. If you try it, let me know how it turns out! It taste so good but the only thing that bad is the instructions. You shold explain how long should the rice boil, how it take etc etc other then it’s so good. Thanks for the feedback! I appreciate it! I would not suggest freezing it. I haven’t tried it but I don’t think it would turn out well when you went to thaw it out. I make this all of the time but have never used sweetened condensed milk! I’ll have to give it a try….. btw, u make Michigan sound so “Northern” and bland…. we have a huge Hispanic population here… did u never hear of “Mexicantown” when u were here??? My point is that there is an abundance of authentic Mexican food being sold everywhere and stores to buy the ingredients in order to make the food in ur own home…..
Where is Mexicantown?! I need to go! I apologize for making it sound bland – that was not my intent! It was a culture shock coming from South Texas to the mitten. I apprecaite your comment Teresa! When I was growing up in Michigan, I REMEMBER this rice dish so well. My mother made it for us for breakfast. Over the years I would mention to my younger sibs, how Mom would make this ‘rice cereal’. They had no idea what I was talking about. U see, I was the second oldest of 10. My parents came from Texas, as my dad was seeking a better living. My dad followed his uncle, who lived in Saginaw, MI. They got as far as Erie, MI. And there we grew up. Great memories. Hi Linda! Are you still in Michigan? We love it up there! I sure hope you enjoy this “rice cereal” and it reminds you of your mom! I haven’t had this for YEARS, like many other comments before mine. Mom use to make it when I was a child. Made it last night and it was soon GOOD. Thank you!!! Hooray! I am so glad you liked it Mayra!! It’s one of our favorites for sure! How long am I boiling the rice? Usually I simmer rice for 15-20 minutes. I’m just not clear if the longer cooking time is in Section 1 with the water or in Section 2 when the milk is added. I am goI got to make this. My g-ma used to make this when we were little and we loved it. Thanks for the recipe. P.S. Chupacabra has a website you can order from. Very cool! Thanks for the heads up Joe! What a delicious recipe!. I tried and it came out superb. Thank you for sharing. Thanks Rafael! So glad you liked it! It’s one of my favorites. It should thicken up at the end. I hope it worked out! Currently making this and it looks nothing like the picture! I waited until the rice got a little thick and poured in the other 2 cups, but it is doing nothing now. It just looks like undercooked rice in a blonde cream. What am I doing wrong? I followed the directions as I understood them. There are no times on here or photos, just 2 numbered instructions. I’m hoping that boiling it like normal rice will eventually make it like the photo. It should thicken up towards the end and once it cools a bit. How did it work out? So glad you enjoyed Lucy! Can I make this in a crockpot? Can I double the recipe? I have not tried this in the crock pot so I’m not sure how it will turn out. You can for sure double it though! I have never heard of this before and am excited to try and make it this weekend. Thanks for sharing! It sounds amazing. Hope you enjoy! It’s one of our favorites! Holy moly! 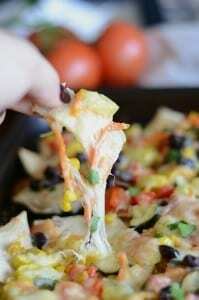 I love how stinking easy this recipe is! 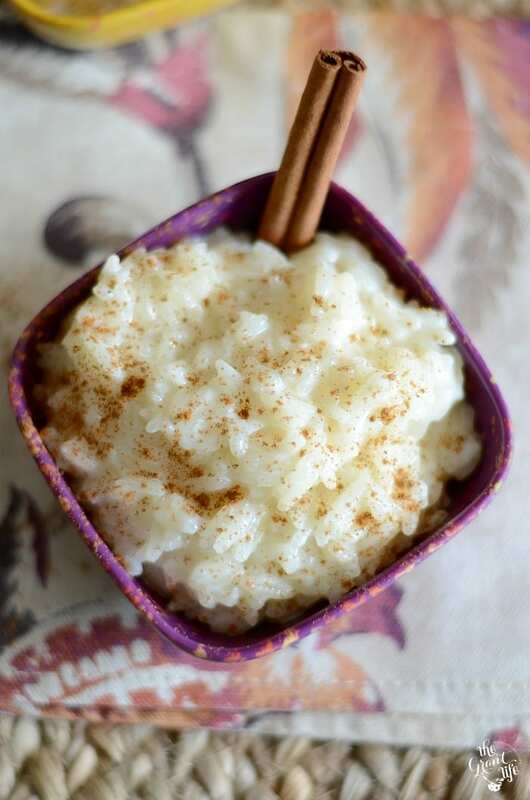 I love rice pudding, but never want to take the time to cook the rice and let it cool. This is perfect, thanks! It’s really easy! I hope you enjoy it Rachel! Kelley, this looks great! I can’t wait to make it! Rice pudding is one of my faves! Thanks Heather! Rice pudding is amazing. Love this. Such an easy but yummy recipe. Its my go to. Thank you for sharing. That’s so great to hear Terri! I am so glad you like it! Uh, mine tirned out rather soupy. Not rich and creamy like the photo? Oh no – I wonder what happened? I’m sorry it didn’t turn out creamy. Why is there such a huge amount of liquid and only 1 cup of rice? It seems like I’ve made soup! It is a lot of liquid but it boils down and comes out pretty thick. Did you make the recipe and it came out like soup? This is amazing and a go to for a dessert . 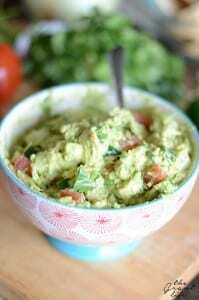 The recipe is inexpensive and makes a large amount, and sooooo good. Yes! I love it too Mary! So simple to make and perfect for a crowd! Hey Sherri! That’s so wonderful to hear! I’m so glad y’all enjoyed it! It’s one of our favorites too! My diabetes doesnt allow me this lovely dish anymore. Now i add warm milk, handful of raisins, cinammon stick too the milk as i Heat it up. Still yummy. Miss this original recipe. At 5 am here in Grand Rapids Michigan i will go and line up to get fresh made tamales with fresh avocado and cilantro. She butters the tortilla just after filing them up. Yumminess!! Ohhh that sounds delicious! Are they homemade tortillas too?? I do love good Mexican food! This sounds delicious! If made ahead of time how do you suggest reheating it? Or can it be eaten cold like rice pudding? You can reheat in the microwave or on the stove top. I would add in a little more milk to thin it out as it becomes thick as it sets. It is delicious eaten cold as well! Yum! My grandmother made this a lot when we were kids. She always put raisins in it. I’ve never eaten it warm though! It was always something we’d grab from the fridge. I’m so excited to try this recipe!! Let me know how it turns out! My kiddos love it cold the next day for breakfast. It’s great either way. Hey Jenni! No, I have never rinsed the rice before cooking it. Hope that helps!